A few weeks ago I read Born Wicked by Jessica Spotswood which is a novel set in a fantasy version of the early settlements of America. It was a refreshing, cute read that was quick and fun. This is the first book in a trilogy that I would very much like to get my hands on and revolves around some witches in this small country town. Reading this book was really nice. It was fun and most parts of the book felt like they had a purpose especially to the end when the tension just kept building. There was however a love triangle, not something I enjoyed especially when it was so clear who she was going to choose. Some of the characters seemed really one dimensional, for example Paul. This book was just so easy and fast to read, it sped you along and the twists were never quite what I expected. The setting was really original, and the magic system was well thought out however it wasn’t really that big of a focus for the novel which I kind of liked. The main focus was on the romance, family and social expectations which was really fun to read about. Cate as a character was someone I could relate to, she felt like she had to take care of her sisters but at every move they were rebelling against her. She was just trying to keep them safe, but they didn’t want that. As a person I have come to accept that sometimes you just have to let others make their own mistakes and I think that is something that Cate will learn over the next few books. Overall I gave Born Wicked a five of five due to how well the plot pulled together. I want to read the rest of the trilogy but I am kind of worried that they won’t live up to my expectations. 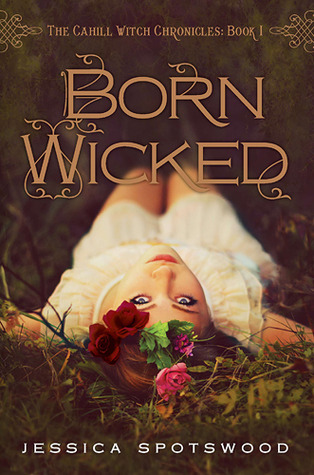 Have you read Born Wicked? If so what did you think? Sounds like a great read. I’m looking into it!